Healthy, luminous skin doesn’t come naturally to all women, and many will utilise a variety of cosmetics and skin care products to try and achieve that coveted look. However, there are some ways to improve your skin even if genetics are not in your favour – here are 5 tips to help you get that glow all year round. A luminous glow starts on the inside, so a healthy, well-balanced diet is essential when looking to achieve a radiant complexion. A good diet will include of the vitamins and nutrients your skin and body needs to function and grow on a daily basis, so don’t forget to fill your plate with lots of colour. A well-balanced diet will not only help your skin glow, but it will also give you more energy, help you sleep better and fight off sickness and disease. 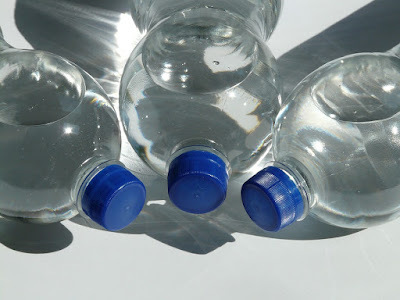 While you’re eating a balanced diet, it’s important to also drink lots of water throughout the day. In fact, it’s recommended that you drink up to 8 glasses of water each day (or 2-3 litres) to ensure your body stays hydrated. Your skin clearly shows when your body is dehydrated, so make sure to boost your water intake to achieve a glowing complexion. No matter how tempting it is to fall straight into bed after a busy day or a big night out, don’t go to sleep without removing all of your makeup. A simple makeup removal wipe can be purchased at most pharmacies and supermarkets, so make sure you always have a supply next to your bed and in the bathroom so you can quickly remove your makeup at the end of the day. This is important as it will give your skin time to breathe overnight and prevent your pores from congesting. Wearing makeup for the whole day clogs your pores and causes impurities, so when you take your makeup off at the end of the day, it’s also important to cleanse the skin with a good-quality cleanser. A good cleanser (made from natural and organic ingredients if possible) will remove impurities from your skin to ensure there is no lingering grime left on the surface to cause breakouts. If you have experienced acne or have acne scaring as a result of a breakout, consider speaking to a skin specialist, such as Cosmetic Surgery for Women , for professional advice. Backed by a wealth of expert knowledge, a surgeon can help you with the right treatment and care to give you healthy, glowing skin in no time! Depending on our condition, this could be something light and unobtrusive or a ore extensive treatment. Healthy, glowing skin makes you look younger and less tired, so there’s no doubting why women all around the world find it desirable. 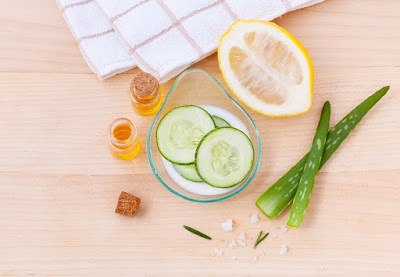 Follow these 5 tips if you want to have clean skin with a natural radiance. Do you have a tip for achieving a luminous complexion? Leave your thoughts in the comments below to share with other like minded women!